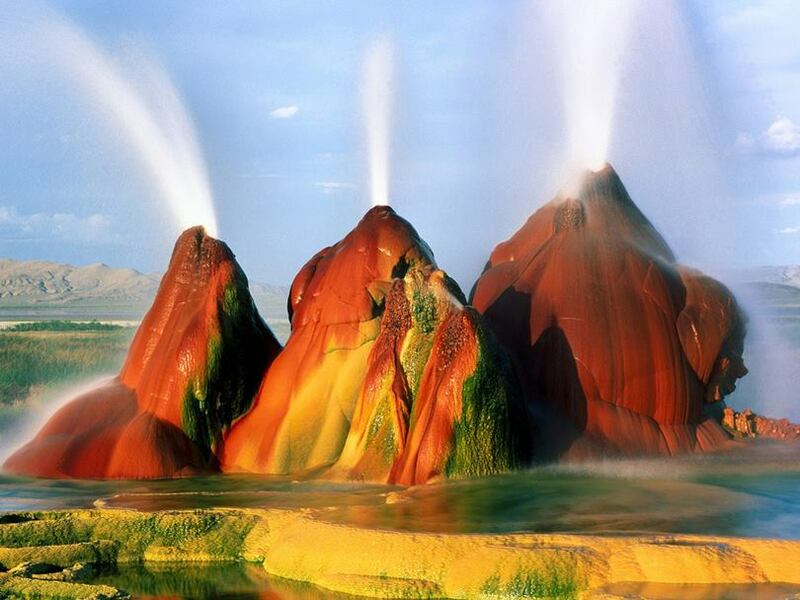 Fly Geyser is an entirely natural phenomenon that nature gives unusual characteristics, as if made for our enjoyment. 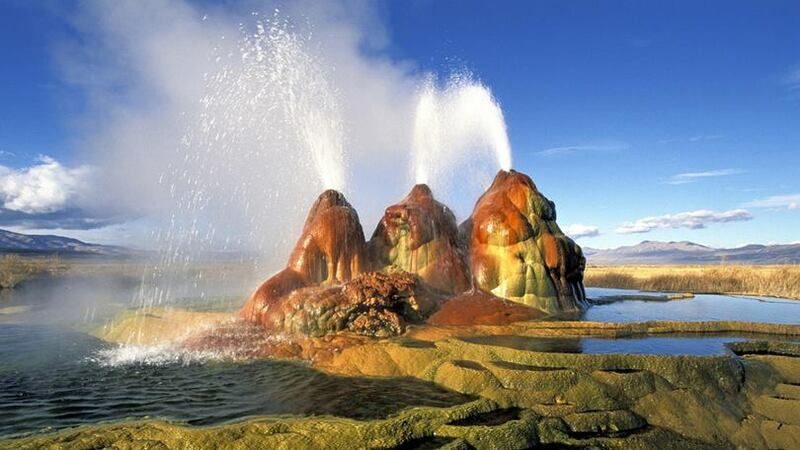 It is a geyser with several outlets which is located in the black rock desert of Washoe County, a rural part of northwest of the state of Nevada, USA. It is quite close to where the celebration of famous bohemian festival every year outdoors, the Burning Man. 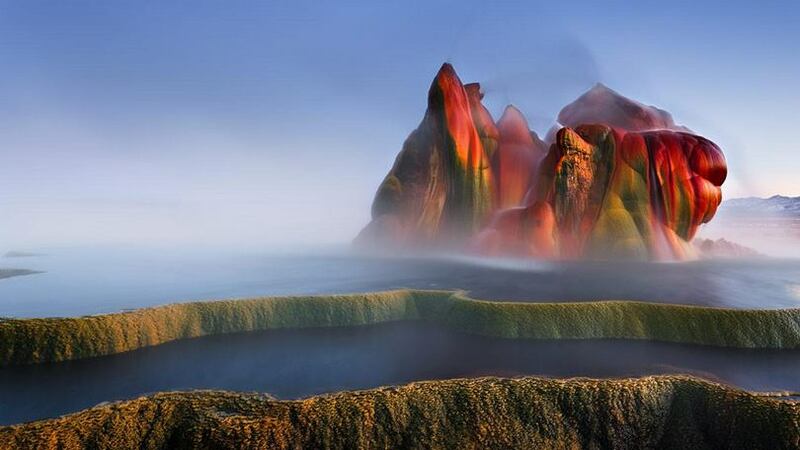 Albeit small, instead of full pressure of water in several times a day, but the highlight of the place is the spectrum of shapes and colors, just like a filmy set, caused by the combination of calcium carbonate rocks and presence of thermophilic algae. Another curiosity is that it has no exact natural origin. 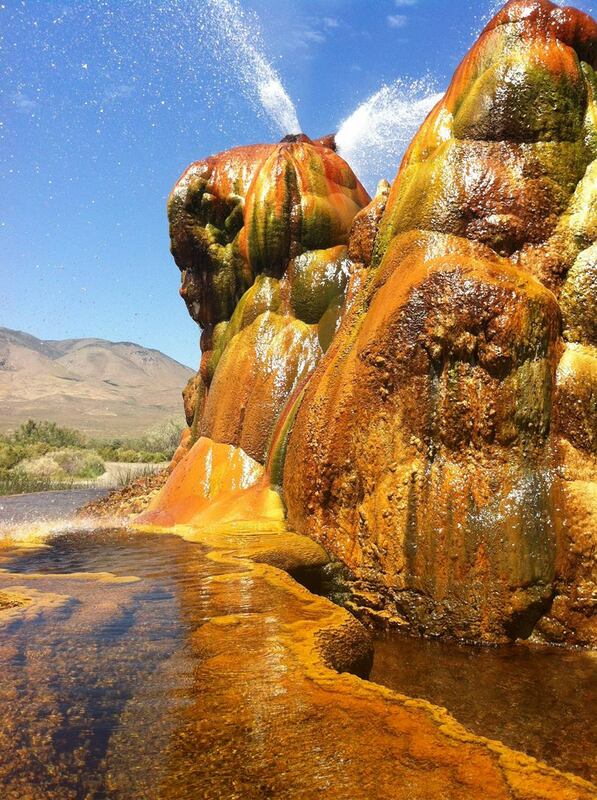 It was accidentally created by well drilling in 1964 research for sources of geothermal energy. 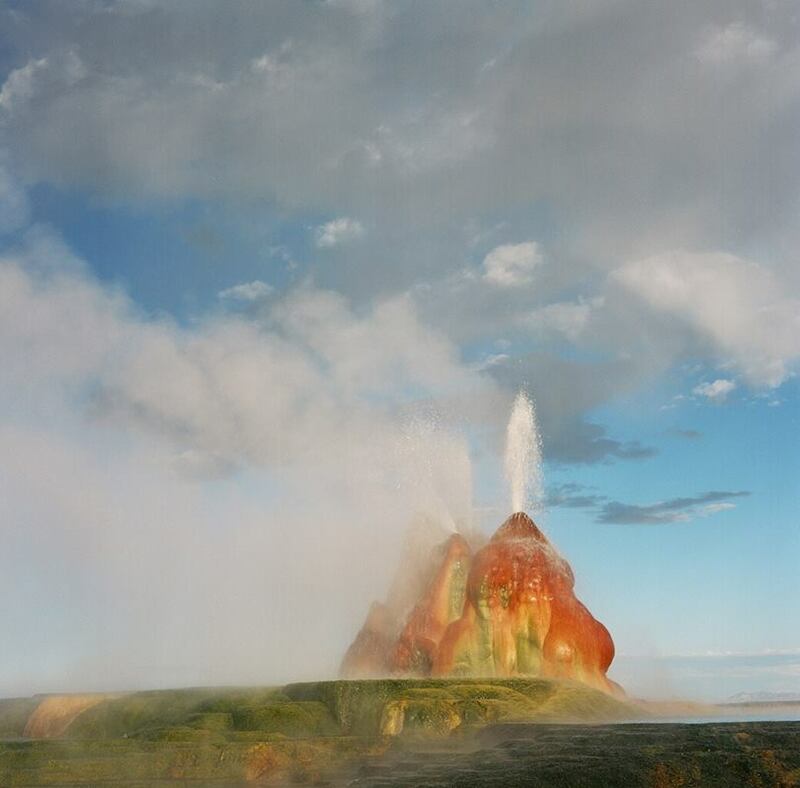 At that time it was not properly packed, the earth minerals started flowing outside and build up with travertine hillock on which the geyser stand and continues growing. Pump water constantly, reaching with the height of five feet under the sky. 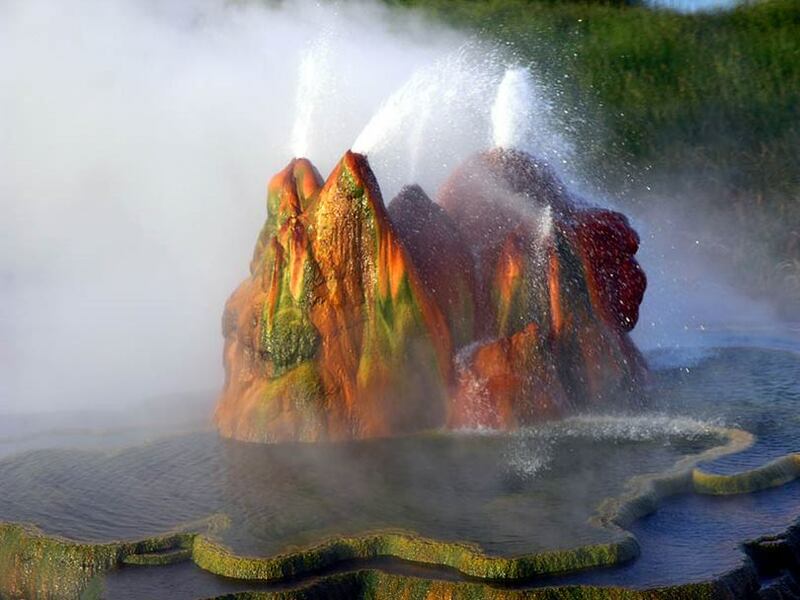 Around an area of 74 acres, the geyser be possessed of several terraces discharging water into 30 to 40 pools. 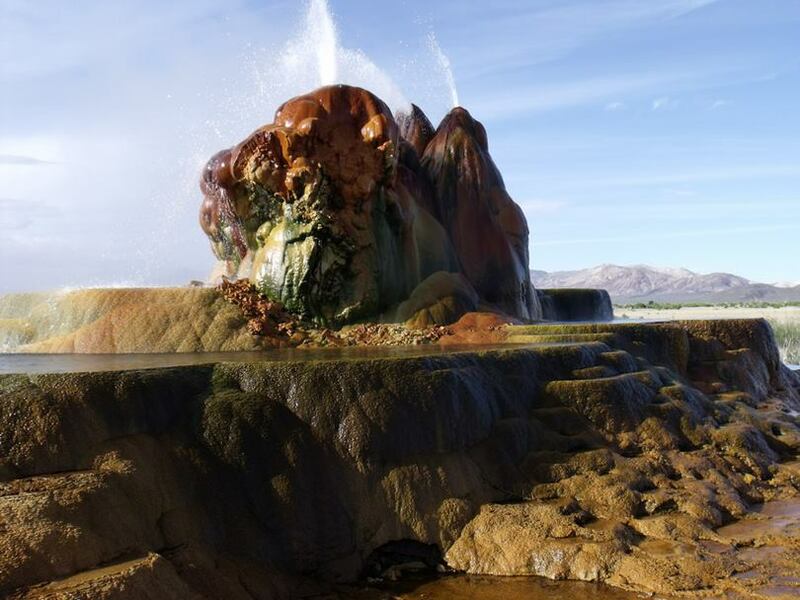 The truth is that Fly Geyser is located just inside a private ranch Fly Ranch in Hualapai Flat, owned by Todd Jaksick. There is a high fence and a locked gate topped with spikes to exclude trespassers. Back in 1916 a group of farmers began construction. They were looking for water tanks under the drylands to nourish their crops. 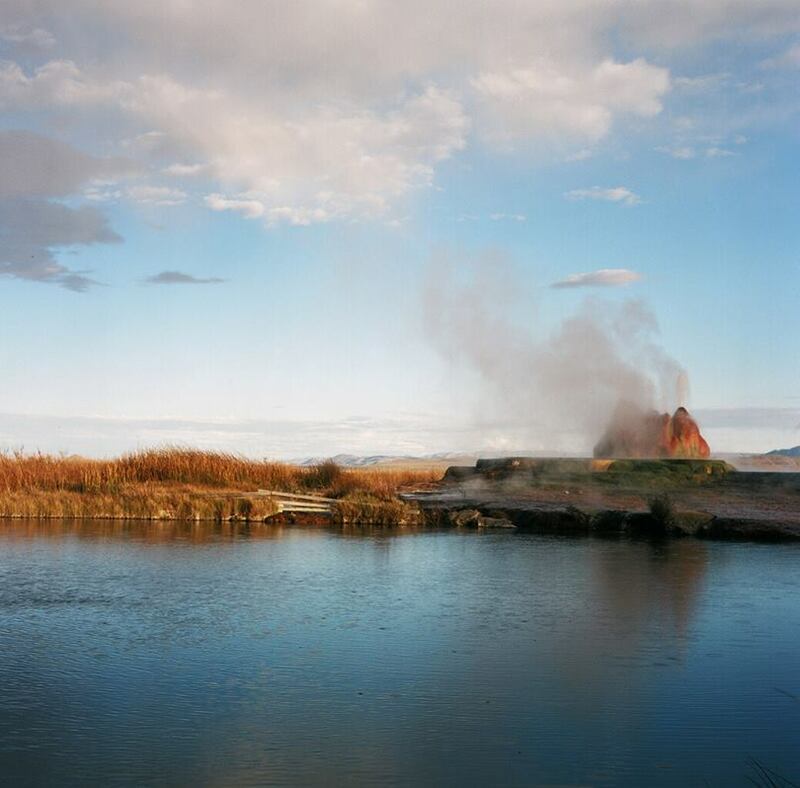 They drilled at this point in the landscape and found water, but a geothermal pocket of water was struck resulting in a geyser of boiling water which turned the area into a desert wetland, a thermal aquifer that flowed more than 200 °. 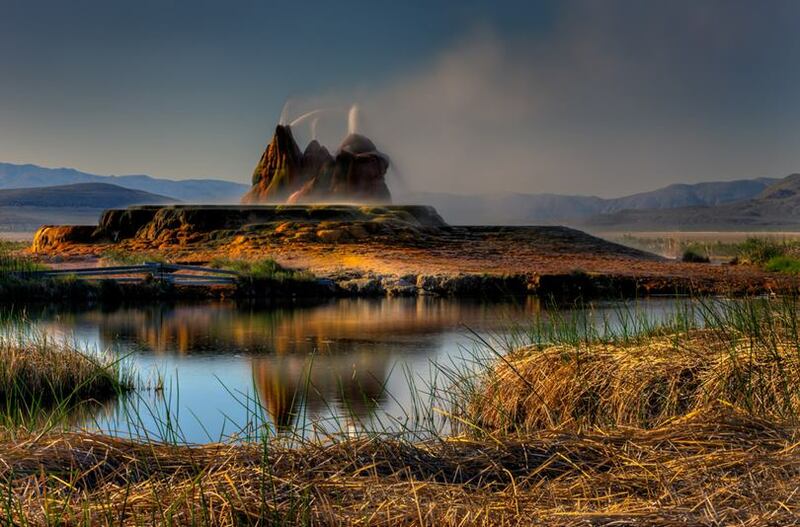 Decades later in the 60's, the underground boiling water found a weak spot in the ground and a natural geyser was born.